It was a dark and stormy night and someone or something was ringing the bell in the school clock tower! It got worse when we saw a horrible face glowing in the window eeeky freak! But there's no such thing as ghosts... or is there? 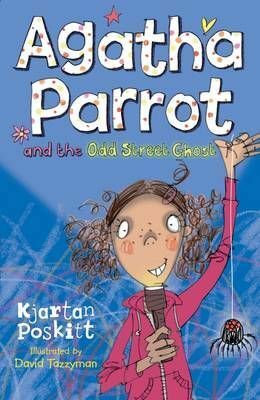 If you like Mr Gum, Tom Gates or Wimpy Kid, you'll love Agatha Parrot! It was a dark and stormy night and someone or something was ringing the bell in the school clock tower! It got worse when we saw a horrible face glowing in the window eeeky freak! But there's no such thing as ghosts...or is there? There was only one way to find out. We all spent a night in the school hall keeping watch, and that's when things got even stranger ...wooo! Join Agatha and her brilliant friends for loads of laughs and adventure. And don't miss her other five books too!